I offer to you a lesson plan* I made for a week on natural selection and cultural adaptation in a bioanth class. Use as you like! It is the year 2030, one year after a massive worldwide apocalypse. You have been observing the changes taking place in the area that we currently call North America. In small groups, discuss what the post-apocalyptic world looks like, make up any details not identified in your group’s listed apocalyptic cause, and answer the questions below. Be prepared to give a five minute explanation of your post-apocalyptic world and your answers to the group and to give feedback to other groups on their worlds. 1. Give a paragraph overview of what the post-apocalyptic world looks like. 2. List two new problems that threaten individual human survival and reproduction in this environment and explain how they might have differed from problems during the EEA. 3. List two existing psychological mechanisms might help face these dilemmas and explain why. 4. List one existing psychological mechanism that might make these dilemmas more difficult to handle and explain why. 5. List two accumulated cultural adaptations that could be useful in this environment and explain why. 6. List two accumulated cultural adaptations that could be maladaptive in this environment and explain why. 7. Imagine a meme that might spread in this new environment. Describe it and why it might be selected for in this environment. 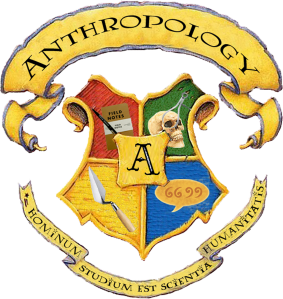 Now I know this is going to be a contentious topic, but sometimes a person just has to stand up and decide which branch of anthropology corresponds best to each of the Houses of Hogwarts from Harry Potter. The “spirit” of the house is all wrong – this is hardly the subfield of anthropology I would consider motivated by Machiavellian ambition. However, the theory of evolution does share with Slytherin a belief in survival of the fittest! Slytherin is headed by the Potions instructor, who shares with Biological Anthropology an interest in the effect of substances on the body. Founder Salazar Slytherin is described as monkey-like, and as we know, primatology is an important part of this subfield. The Bloody Baron was the only ghost to actually kill someone (and biological anthropologists are the only ones in our discipline who we are okay with killing their subjects! Poor rats …). If linguistic anthropologists had an element, they would, like Ravenclaw , be represented by the element of air – how else would speech be possible? Ravenclaws are concerned with erudition, and although many of the linguistic anthropologists I know do very grounded work, the image of the linguist certainly evokes that kind of aura. Finally, Ravenclaw is led by the Charms professor – a subject that is all about incantation which seems like the class of spell a linguistic anthropologist would be most interested in. *A note on the Four Houses of Anthropology image: That picture is one that I made for a hypothetical t-shirt, but that didn’t pan out. The Latin at the bottom was a collaborative effort with three awesome friends from my days in the Oberlin College Classics Department who have now grown up to be Classics PhDs and profs, and says something like “the study of humans is the science of humanity” (but with a little play on words in studium and is also a reference to the famous Kroeber quotation about anthropology). Grant writing about your research demands that you answer some very big questions with very high stakes. When confronted with them, especially when I’m staring at a blank page, my resolve to Get Things Done turns to jelly and suddenly I realize I’ve let hours pass by doing nothing but checking Twitter and Facebook. The third time that happened this week, I decided I needed a new approach. Something that let me start thinking about my research in productive ways but didn’t have such high stakes. I needed a screen that gave me a new way to look at my work. This week’s exciting answer came from one of my favorite fantasy authors from my childhood. Patricia C. Wrede* created a list of Fantasy Worldbuilding Questions over at the Science Fiction & Fantasy Writers of America site that is truly spot on for fantasy writers and almost completely irrelevant to anthropological research. Perfect! Hard to imagine lowering the stakes more, really. So my buddy and I chose a short list of questions for each other (about 15), and set about answering them. It worked best when the questions were unanswerable in their current form, but worked metaphorically to brainstorm new questions about the research. FOR EXAMPLE: If magic requires study, where do you go to learn about it? How do people fund their training? Is there an apprenticeship system, or are there wizard schools, or is it one-on-one tutoring/mentoring? Is an untrained wizard dangerous, or just an ordinary person? The approach shook loose some new ways to think about my research and my fieldsite, and now thinking about those other Big Questions is a lot less intimidating. Another win for fantasy and anthropology! * Author of the Dealing With Dragons series, which remains some of my Favorite Books Ever. After my first post on SF/F books and anthropology, I decided I had a lot more to say. Today, I will say it about things I think linguistic anthropologists* (or, you know, anyone who likes thinking about people and language) should read. Lingua Franca, as I mentioned previously, is by Carole McDonnell in So Long, Been Dreaming: Postcolonial Science Fiction and Fantasy. It’s a short story about people who adapted to life on a loud world by becoming deaf and using sign language but now face the loss of that language and their whole way of life thanks to mouth-speaking traders and a new technology for hearing. This is a story that I would probably have any new linguistic anthropology student read, just so they could start thinking about the same things linguistic anthropologists think about. Trade Winds by devorah major, also in So Long, Been Dreaming: Postcolonial Science Fiction and Fantasy. Unsurprisingly, about cross-cultural communication. Not as good as “Lingua Franca”, but you just checked out the book anyway, might as well read this one, too. Embassytown, by China Miéville. Primarily appealing just because it’s so metalinguistic. This central premise of this book is language – or more specifically, extreme differences in language. And yet … Well just check out Jonathan Crowe’s review. Snow Crash, by Neal Stephenson. It’s delicious cyberpunk and a sci-fi classic, but the thought experiment underlying the plot is all about the power of language, though how language is communicated is somewhat different (hint: it’s communicable!). Leave your own scifi/fantasy recommendations for linguistic anthropologists in the comments! *Linguistic anthropologists are not like Henry Higgins, whatever BJG‘s parents might think. They are betwixt and between academic disciplines and enjoy everything from weird sounds and gestures to the reasons for saying “y’all” in political speeches. As has now been established, I am an anthropologist. But I am also a big science fiction and fantasy fan*. Often, I feel like these two things are very closely related to each other. Plenty of science fiction has anthropologists (some even point to a subgenre) and anthropology is a science that is the writing of fictions (Geertz is groaning in his grave at that one). I bet Donna Haraway would agree with me, though, because have you ever seen that crazy (awesome) chart on page 229 of Modest_witness@second_millennium.Femaleman_meets_oncomouse: Feminism and Technoscience? She totally mentions The Left Hand of Darkness, He, She, and It, and the Xenogenesis Trilogy, all three of which I adore and you should certainly read. She’s not the only one who makes SF/F references either, but I have forgotten the others. I am determined that when I am a grown up anthropologist, I will also find ways to include such references in my publications too. But now that I have a blog, why wait? I keep an evolving list of fantasy-for-anthropologists at Goodreads.com, but you may not yet be interested in following that link. Allow me to convince you. Ursula K. LeGuin, Grand Master of Science Fiction (no really, it’s a thing), is undoubtedly the best starting place. 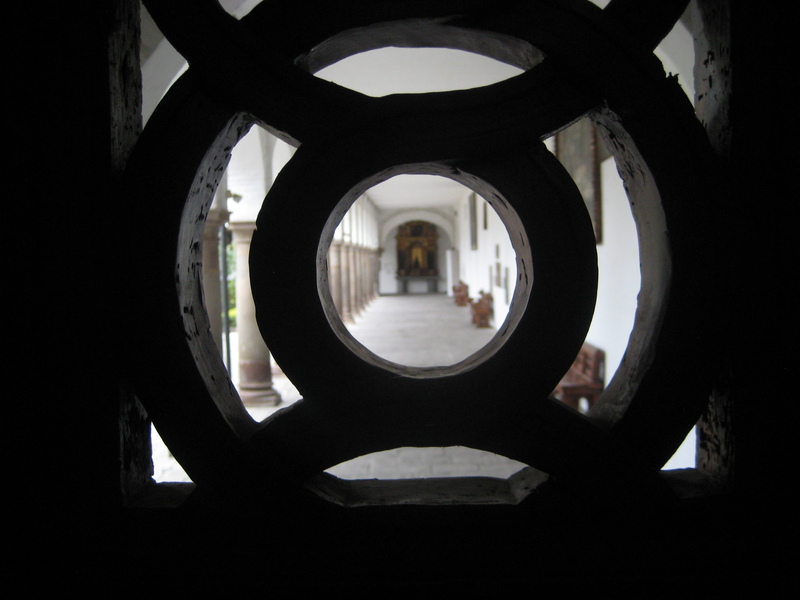 Much of her work has an undeniably ethnographic style, but if you want to read some beautiful short form ethnography to get started, check out The Birthday of the World and Other Stories. The worlds and universes are more exploratory than imaginary, and they are studied by the narrators and clearly beloved of the author. But that is a book of short stories about places, times, and people’s she spent a lifetime writing about and for many a coherent and compelling genre novel (though I’m sure she would not approve of my use of the word) is more appealing. If that is the case for you, you should begin with The Telling. If I were rich and had more time, I would buy a copy for every anthropologist I know. Of course, it is no surprise that her work should be so anthropological, she is the daughter of two anthropologists (her father, Alfred Kroeber, founded the anthropology program at Berkeley) and her brother became an anthropologist, too. But I admit, I have never read her family’s work, whereas hers has shaped my worldview. 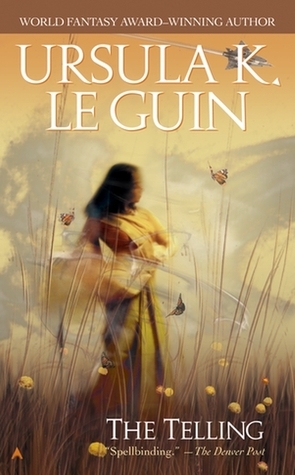 LeGuin is undoubtedly the cultural anthropologist’s go-to author, but I can be more specific! 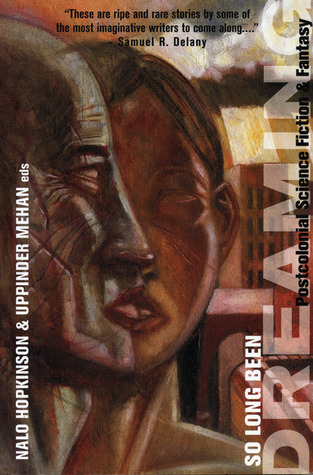 If you are a linguistic anthropologist, allow me to recommend the short story “Lingua Franca” by Carole McDonnell in So Long, Been Dreaming: Postcolonial Science Fiction and Fantasy. A medical anthropologist should probably start by watching the movie Gattaca, (about a future in which eugenic genetics are more encompassing) but I’m also a big fan of Cory Doctorow’s dystopian short story “The Things That Make Me Weak and Strange Get Engineered Away” about a bio-surveillance state and Robert Silverberg’s “Caught in the Organ Draft” in the devastating collection Brave New Worlds: Dystopian Stories (which, incidentally you can check out for yourself thanks to the awesome Baen Free Library). ** A physical anthropologist interested in age (like me) may find Orson Scott Card’s “Geriatric Ward” of interest (although that hardly approximates my intensely emotional reaction to the story). Archaeologists actually make me think of mysteries (because of the Amelia Peabody books and Summer of the Dragon by Elizabeth Peters), but I’m sure there’s good stuff out there***. And look, other people think so too. Like, anthropology professor Charles F. Urbanowicz who said, “Anthropology and science fiction often present data and ideas so bizarre and unusual that readers, in their first confrontation with both, often fail to appreciate either science fiction or anthropology. Intelligence does not merely consist of fact, but in the integration of ideas — and ideas can come from anywhere, especially good science fiction!” (It’s a blog, I’m totally allowed to cite Wikipedia). Of course, maybe you already agree with me. Maybe you actually have a book you want to recommend to me! In which case, to the comments! ***I love Anne McCaffrey and Mercedes Lackey’s The Ship Who Searched, which begins at an archaeological dig, but I’m not sure if there is really a lesson for archaeologists there the way the other stories are actually useful for anthropologists.